Discussion in 'General NGT48 Discussion' started by Cisalpine88, Jan 9, 2019. Okay, you know what, this is getting serious, and seriously disturbing on top of that that. I sort of felt relived to hear Maho back, hoping things were settled. Well, seems it was not the case after all. Seeing Maho in this state makes me seriously wonder what the hell is going wrong inside of NGT, its management, or a certain portion of the NGT fanbase, whichever is the case. Please note that it seems like the stream got cut off externally by the staff of Showroom, not because it hit curfew time (which is usually midnight). Sorry for rushing this out without much formatting (I will edit it better at a more appropriate moment), but I think that it seems there is some serious stuff going on, more so than I had imagined at first, that needs to be investigated on a criminal level here. "I had tried to send a mobame mail before but I got stopped and couldn't send anything. I wanted to tell everything, but nothing will get solved until I say the truth. There's still other people who might go on to suffer the same experience, but I decided to just wait for a month. But they did nothing at all to deal with it in the end. Even Imamura-san, he would speak about «making it a clean NGT», «making it a new NGT», of how «people who do bad things would get fired» ...and yet they did nothing to deal with it. Everyone's personal informations, they got disclosed around too. I wouldn't be able to bear it, if any other girl working with seriousness will end up in a dreadful experience like this. I am glad that I got helped out of it, this time around ...but I couldn't avoid wondering what it would have happened if I had ended up getting killed instead. But if things had gone beyond the point of recovery, I just wouldn't have made it out in time. It doesn't feel like I am being alive anymore. Normally... Even some time before, like for the Aikabu Senbatsu, it was happy to work along together with everyone. ...Every day felt enjoyable after getting into Team G. It really felt uplifting. Laughing all together, being all smiles on a normal basis, that alone made things enjoyable enough. That alone was enough to feel happy. Why it's people who carry themselves diligently who are forced to experience these situations? Is there anything wrong about carrying oneself diligently? For what reason should someone end up in a dreadful experience like this? I truly wanted to say everything about it, but they promised me they would solve things out for me, so during the course of this month I decided to bear it and wait, although the situation was disturbing. I don't understand it anymore. What would have happened if someone had done something beyond the point of recovery instead? I want to tell everything, but it would cause trouble for the people who have offered me their assistance. But then again, even someone else besides me (stream is cut off here)"
In the interest of providing as much information on this case as possible, I feel it should be added that the last mobame mail to be sent by Maho on December 23, before falling into silence, other than being mostly a schedule about the handshake event on the day after, also contained inside a single line that said "I was wrong to think of everyone as scary and having fallen into a sense of self-loathing, sorry", which is obviously in reference to any NGT fans reading it. This is all for now, for the sake of throwing clarification on this case and the identity of culprits, though if things go on any further I might as well consider translating word by word and releasing here the mobame mails that I mentioned about one month ago. makes me seriously wonder what the hell is going wrong inside of NGT, its management, or a certain portion of the NGT fanbase, whichever is the case. Sounds like both tbqh. 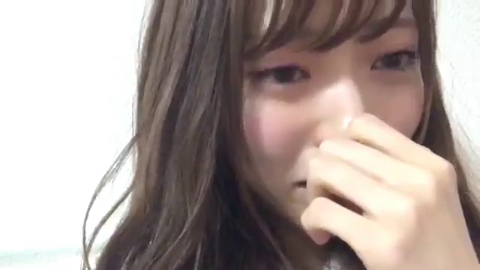 I remember back when HKT had it's problems with "bad fans" and bad management, it made things miserable for members and worrying for normal fans. What is going on, is she making an emotional callout on the management for pushing Rika despite all the mess? Or are there other things too? I'm reading her recent tweets and crying so much. i freaking hate ngt's management. Ugh just reading what she went thru.. so awful. And the fact that both the police and management covered this up just makes it even worse. According to her tweets another member leaked her private information including her address to some "fans" who then attacked her on her way home after a stage. She and another member called the police and the management but the guys were released after being captured and nothing else happened. I'm reluctant to speak about such things. I don't want to cause trouble on people who gave me assistance. I don't want people to hate about NGT, so during this one month I kept it silent although it felt distressing. I even pleaded to avoid saying that it involved NGT when on the news. Even this is because I greatly care for this group. This is also because I had hopes that everything would have gotten dealt with and solved. Even so, I decided to bear up with it for a month, believing and wanting to protect this group. In the end, they decided not to deal with it. What's more, Imamura-san, even though he had heard every detail about the members from the police, even though he said he would take measures against it, in the end tried to dismiss it as me having just victimhood delusions. I decided to remain silent for the sake of the group even though such an incident took place, and yet I got betrayed. I do not wish for anyone to hate on NGT. There's many girls who are working earnestly in here, and I couldn't stand it if they faced the same situation as I did. It feels painful to me, so I wish that the girls I care for so much will never go on to feel the same thing. It's fine if it's just me crying, but seeing as how everyone had been crying, feeling frustrated and uneasy, I want to do something about it. So I'm going to tell the truth. Last month, after the end of a theater show, I was assaulted by two men while on my way home. A certain member informed them about what time we would return back home from theater shows, one more member also informed them about my house address and apartment number. Yet another certain member also incited the perpetrators to go to where my home was. Is it really necessary for members who are in a relationship with fans to have your private informations leaked and be assaulted by others if you aren't in a relationship with fans yourself? Is there anything wrong with not getting in any love affair, and doing your idol work with diligence? Is there anything wrong with wanting not to have a relationship with fans? Why wanting to honor the rules means I would have to go on to experience such dreadful situations, in this group? Why is it such a group where you cannot protect girls who go about their jobs diligently? Is it right for people to betray so many fans behind their back and being in a relationship with others? I can't understand how this can be allowed. Careful here. Nakai always posts from an iPhone, yet the damage control message that was posted following Maho's Showroom stream happened to be posted from an Android device, instead, and was even identified as such on Twitter mobile. Not to be a conspiracy theorist or anything, but what are the chances that, you know, the one doing the damage control wasn't exactly Nakai...? Especially after hearing the story above? I know the Japanese are tech-illiterate, but this trick is really so easy to figure out. Jesus christ, this is the worst scandal ever in an idol group, nothing else even comes close. Poor Maho to have to suffer this. I want the entirety of management fired along with the member who leaked it. Punishment is in order. Maho was forced to surpress her trauma and ridiculed for it. Absolutely in rage. This is outrageous. This reflects extremely poorly on manager Imamura and the rest of those in charge of NGT48, as well as Akimoto. As for Nakai, it's been my opinion for a very long time that she's unfit to be an idol, and moreover, she is a toxic element that is contributing to the misery felt by so many of the girls in this group. - Fire Imamura and the rest of the responsible managers. - Fire the member who leaked personal details. - Get new managers who are actually qualified to do a decent job. - Provide proper support for the girls so they don't actually have to be afraid of their lives and their mental well-being. This cannot be silenced down. Fired? They should be arrested this is ridiculous. Well if a member encouraged the dudes to go to Mahohon's address that member would be accessory or instigator, with criminal consequences? I was too quick with my post. Of course those guilty of criminal activities should be prosecuted. As for why Nakai should be fired, this ought be clear as day for anybody who has paid any bit of attention to NGT48. wow this pisses me off. no way the guilty parties are getting out of this unscathed.